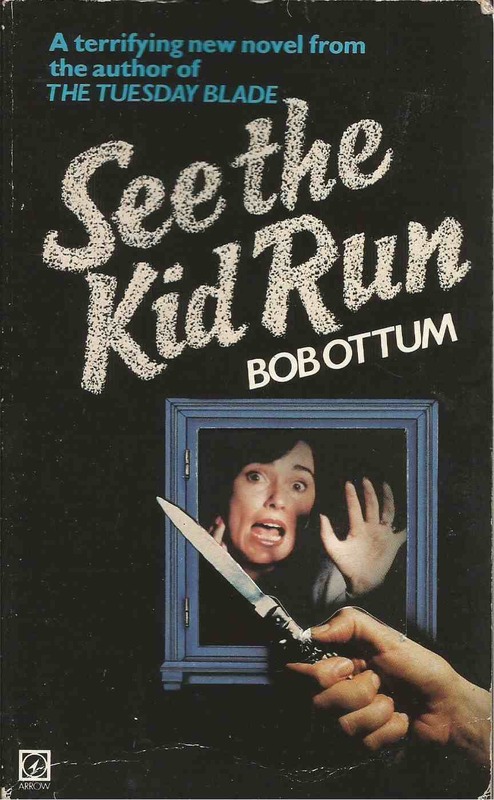 Back cover blurb: 'The Kid is a child of the city. He never thinks about violence, cruelty or horror. He just lives them. The Kid lives down there, in the metropolis rubbish heap. The Kid and his friends - Cat Man, Angel, Jewel - are not just big city children. They are parasites, hustlers, thieves and killers. They have to run to survive, cutting down everything and anyone who gets in the way. 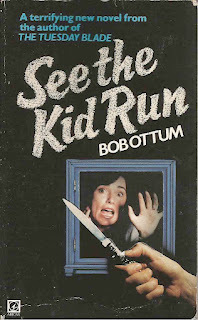 Quick flick reveals: Author Bob Ottum (try saying that fast) seemed to specialize in novels about knife-wielding kids who lived in rubbish dumps, and this is the follow-up to the slightly better-remembered The Tuesday Blade. Has a bit of a Warriors vibe, which is no bad thing.